windows has written 342 articles so far, you can find them below. 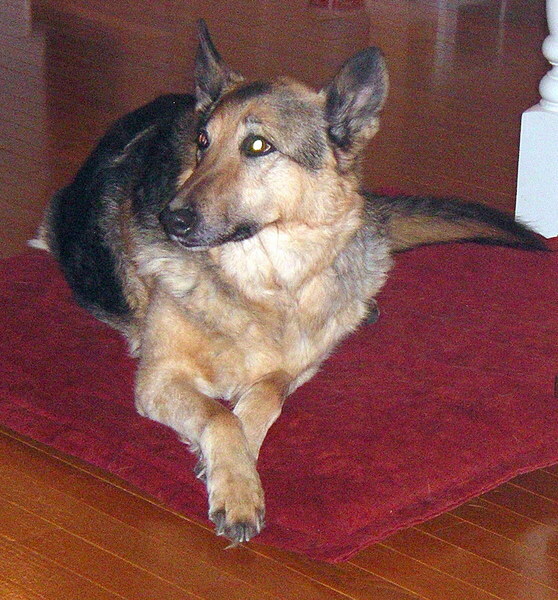 Suzie Bear was a 16 plus year old Shepherd X. She always sat on this red pillow. 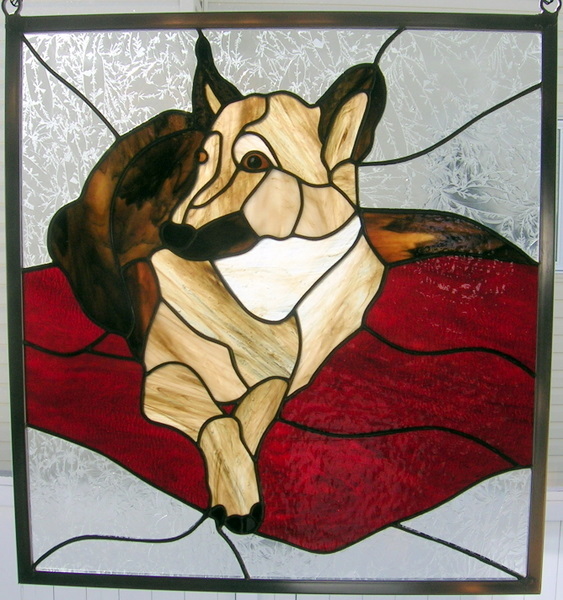 This panel is about 16 inches square. This Horse Head had been dropped and was severely damaged. 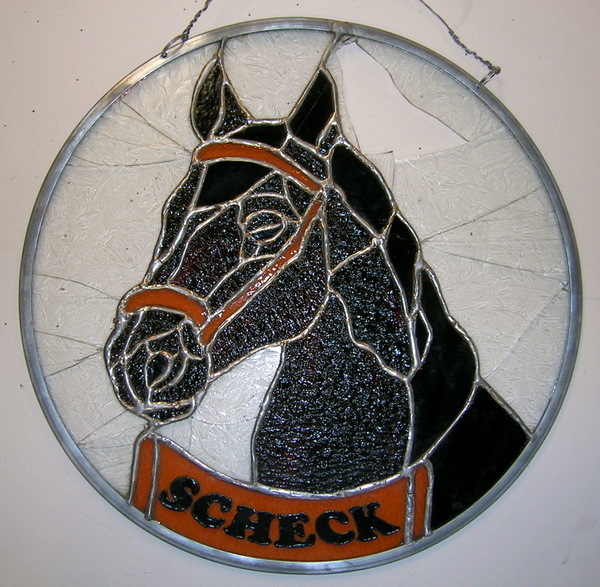 We repaired it with many new pieces of glass, a new zinc frame and hanging chain for our clients. A very badly damaged piece which required major repairs. Look at the repaired Horse below. 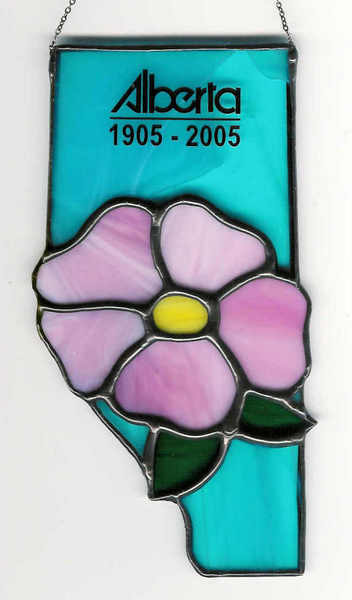 2005 was The Province of Alberta’s Centennial. 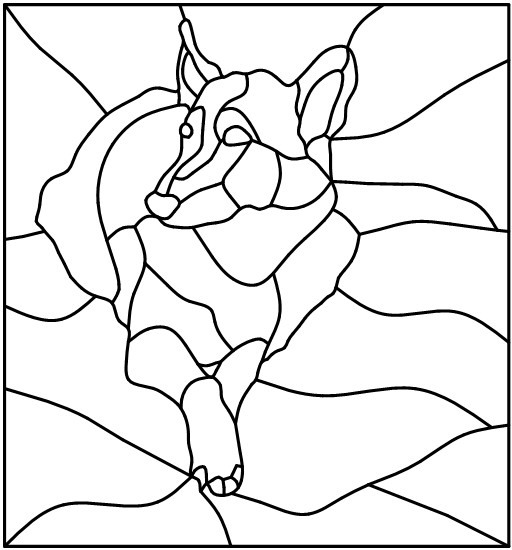 We combined Alberta’s Flower the Alberta Rose within an outline of the Province. Some Alberta Government MLA’s gave them away to recognize 100 year Alberta Farm families. 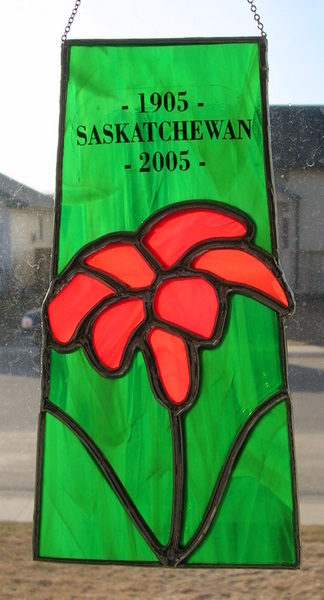 Province of Saskatchewan with provincial flower the Tiger Lily. We made this for their Centennial and it can be obtained with or without lettering. It is 6 inches high. 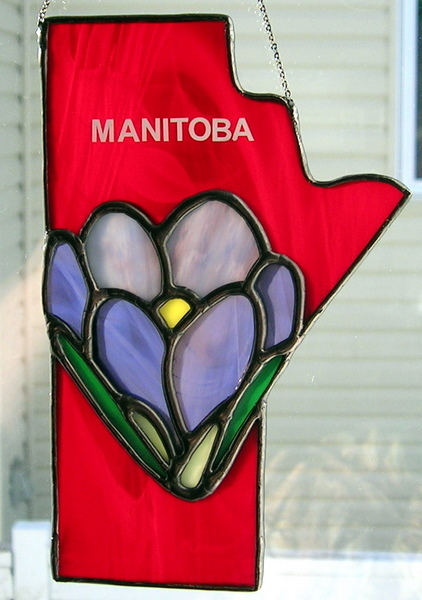 Province of Manitoba with provincial flower the Crocus. 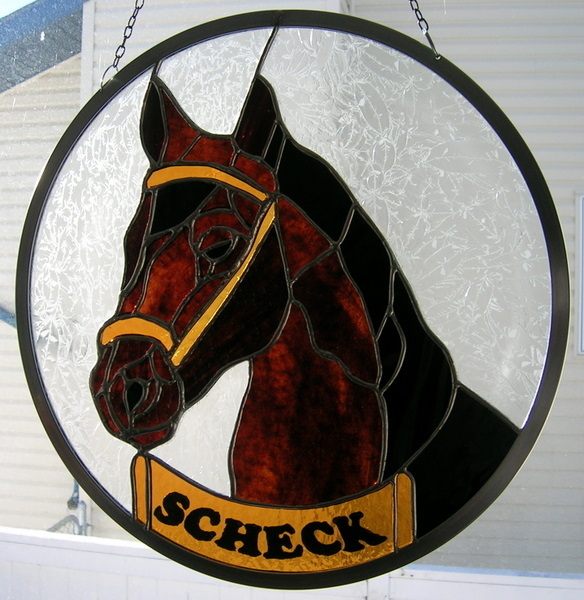 This suncatcher measures 6.5 inches x 4 inches. Wow and double wow! Your web site look great! It really shows off your art. Well done.